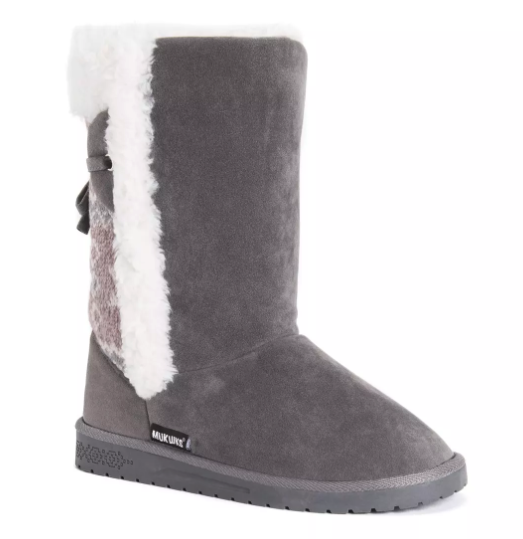 Muk Luks Women's Missy Boots Only $24.99 Shipped (Regular $65)! Muk Luks Women’s Missy Boots Only $24.99 Shipped (Regular $65)! Hurry over here and score these Muk Luks Women’s Missy Boots on sale for $24.99 (regular $65). They are available in 2 different colors and size 6-10. Shipping is free.